The most caring and passionate people I’ve ever met. Our dog Lady was really sick, and they explained to us our options. As hard as ot was for us, they showed compassion. 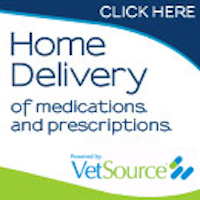 I couldn’t recommend any other vet, Vet to Pet are simply amazing! Thank you for caring about our fur animals as much as we do! Mobile Vet to Pet is amazing they are thoughtful and really care about our fur babies I would recommend them to anyone that finds an inconvenience to getting your baby or babies to a vet. Mobile vet comes to you and even calls the next day to do a check up they are amazing! Thank you! Dr. Nelson and Vet Tech Kathy made a housecall today to help us with our Jem. Jem has recently been diagnosed with lymphoma and, on top of not feeling her best, she strongly dislikes visits to the vet. Dr. Nelson and Kathy sat with Jem on the floor and were so incredibly patient with her and our questions, which were no doubt repetitive. Dr. Nelson talked about a difficult situation in a very honest and compassionate manner. Kathy had Jem relaxed and eating out of her hand by the time they left. Not to mention, my border collie had a little dew claw tear right before their arrival, and Dr. Nelson took time to see her as well and treat her wound. Very impressed!! !